a quick update on the salon this Friday at Core Arts. We're asking people to arrive at 4:30pm (both artists and interested parties) so we can discuss the work that has been presented. Each artist will spend about 10-15mins on each piece then follow up with casual discussion during the private view. There are two shows opening the same evening and the PV starts at 6pm. Also, the space is excellent for performance so anyone interested in doing so, please let us know. Please check the blog at www.chelseasalonseries.blogspot.co.uk for updates. Many Thanks and we're looking forward to Friday! 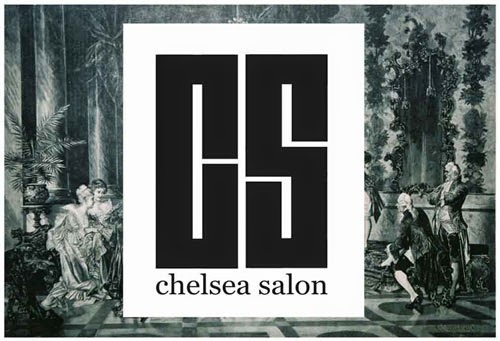 - Josh, Laura and Kate - the Chelsea Salon Series team. 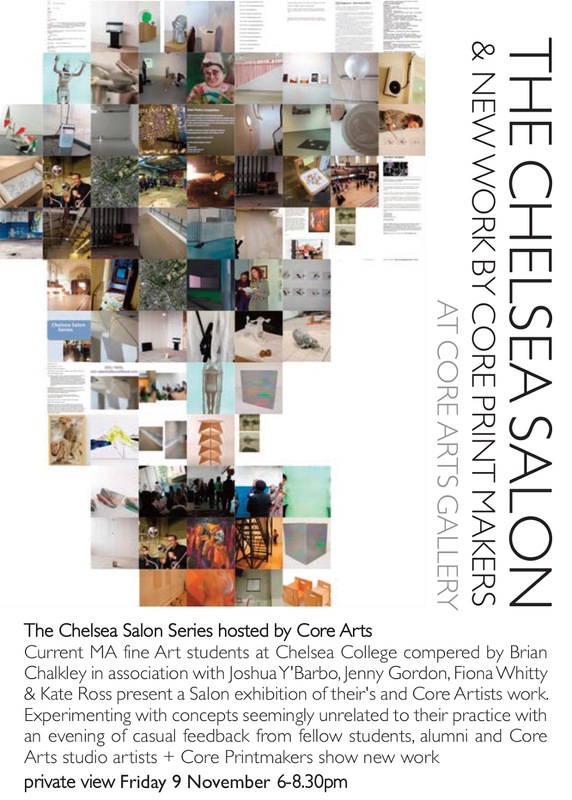 some further details about Chelsea Salon Series at Core Arts on Friday 9th November. We will be exhibiting Chelsea College of Art & Design work with input from artists are Core Arts. There will also be music on the night. This will be an interesting and fun evening with the opportunities to show your work, network with alumni and staff from Chelsea College of Art & Design as well as artists from Core Arts. Sophie O'Neill studied Fine Art at Goldsmiths College, then went on to complete a BA at Central St. Martin's College in Graphic Design. Her move to study Design was prompted by the feeling that it could provide a practical way to earn a living as a creative practitioner. Inevitably O'Neill returned to her first love – the world of Fine Art. Over the past two yearsCore Arts has been the catalyst that has enabled her to explore herartistic potential and develop as an artist.In Concept PaintingO'Neill experiments with the borders between figurative portrait painting, abstraction and the ideas that link the two. Core Printmakers show work produced in the Core Arts printmaking studio. CORE ARTS:Forging its own path in largely uncharted territory between arts centre, community space and commercial art gallery, Core Arts is first and foremost a creative hub with strong links to the local community. Core Arts is run exclusively by practicing artists and musicians, for artists and musicians who have, or have had, severe and enduring mental health issues. Artwork or performance at Core Arts is not judged or displayed on these terms. Pigeon-holes that categorise into ‘outsider’ or ‘therapy’ are strongly avoided. Individuality and creativity are respected and nurtured; artists are encouraged to develop their own strategies. Often, professional artists, musicians and writers share the same wall, stage and page as Core Arts members, without hierarchy. The results are exciting, refreshing and challenge both artistic and mental health preconceptions and clichés. This show, with a host of exhibitors including many highly respected professionals from all areas of the arts, reinforcing and supporting Core Arts philosophy, is an introduction to the pioneering approach that Core Arts has pursued since its conception some 20 years ago.